Pinterest is a photo sharing website with an excellent global Alexa rank making it one of the top known websites of this world. Considering the amount of high traffic that Pinterest has, brands are compelled to utilize it in a manner that it benefits the success of the company. This post presents a case study of how the top brands are using Pinterest in order to maximize their business presence and which are the brands which are still missing the impact. 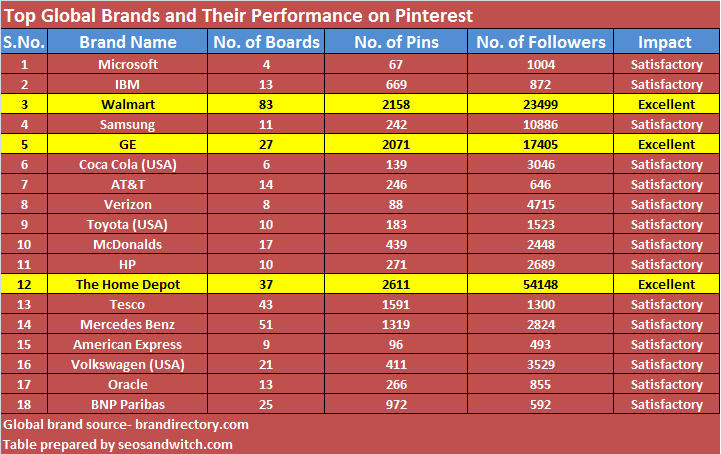 The table below shows how top brands are using Pinterest and displays the number of boards, number of pins and number of followers that each brand is having.